I have just finished your quilt. I hope you like it. 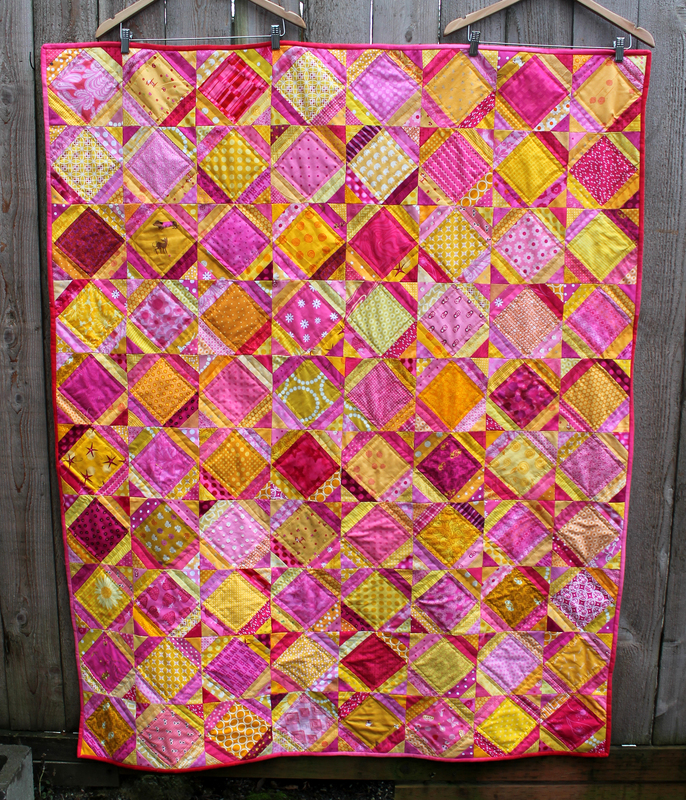 I used bright pinks and yellows to make the blocks. I had fun picking out the fabrics, using lots of different bits and pieces to make it fun for you. There are some fabulous dogs, as you requested. And some of my favorites including some cute Mariska dolls. I did some simple quilting, which should make the quilt pretty when it is washed and will make it durable, so it should last as long as you need it. Any repairs over the years either me or your mum can help. Just in case, your mum can find the pattern for the quilt blocks here. 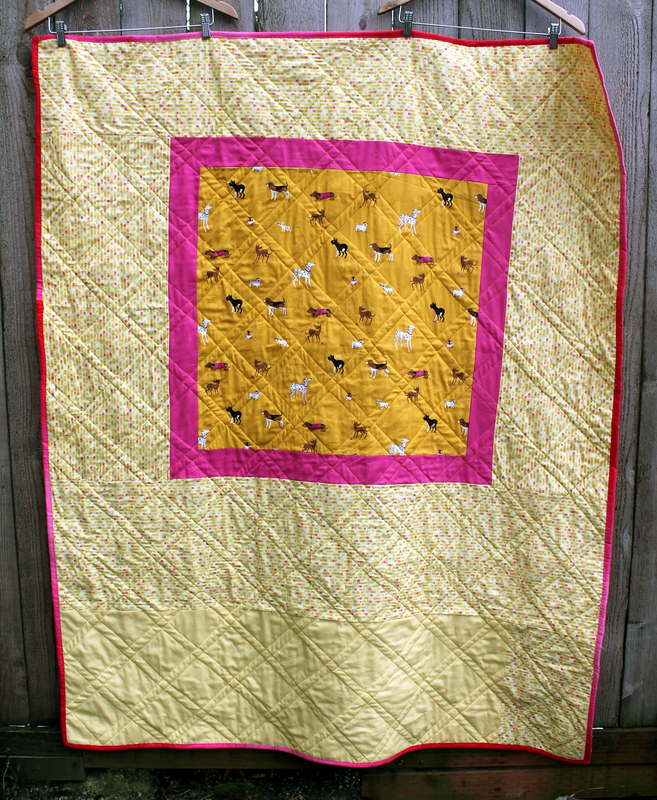 For the back of your quilt I used more of the doggy fabric you loved along with some fun yellows. 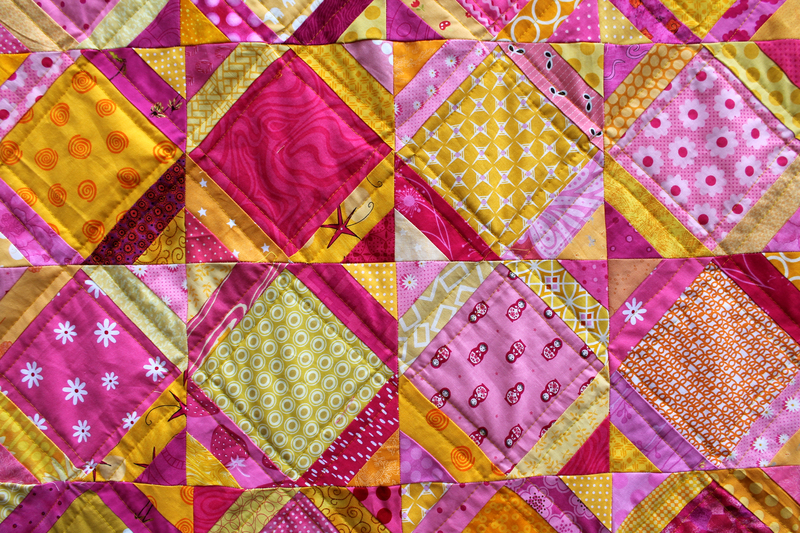 Then to finish the quilt I found this really great fabric that is different shades of pink so I made the binding out of it. 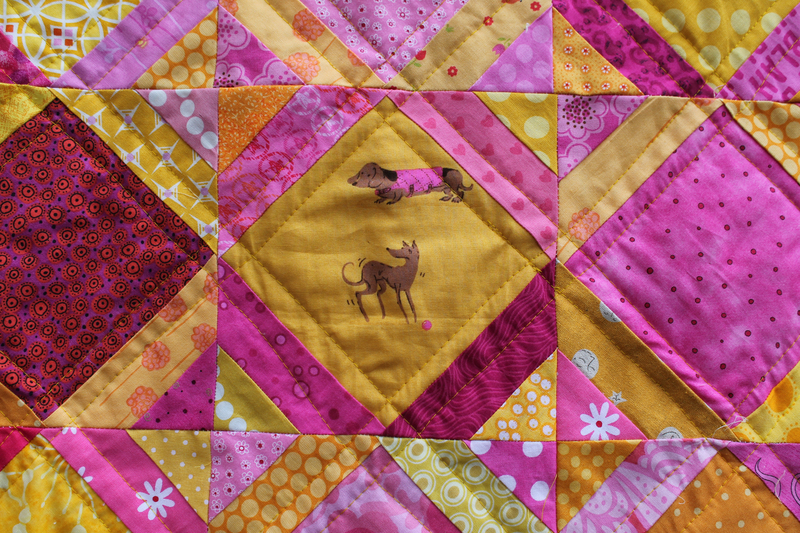 I think it makes the quilt look really cool. So I hope your like your new quilt. I put a lot of work and love into it and I hope it keeps you warm and comforted over the years to come. ps. I now have to find a way to get it to you in Australia. I am hoping there is some room left in good Uncle Nick’s suitcase, but it may have to be posted to you. There is no room left in my suitcase – it is full of presents and Lego! this is stunning! 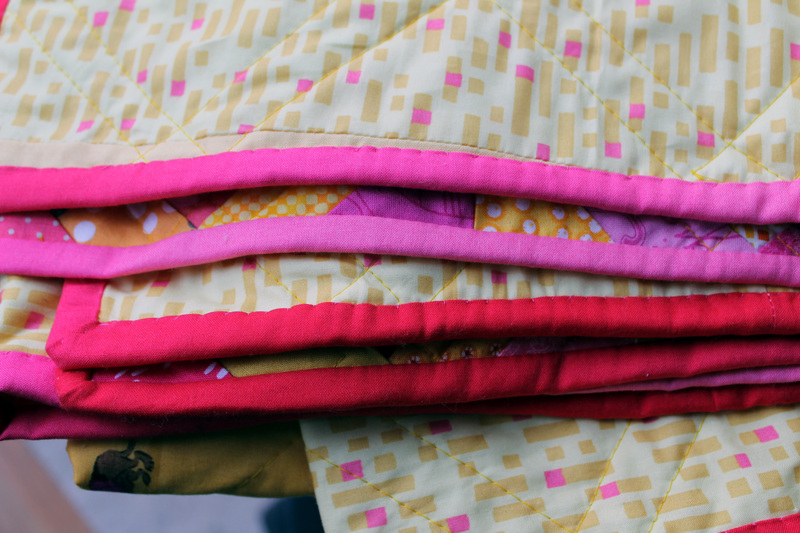 the color combination is so bright and cheery and the binding is awesome. what a lucky niece! I am glad… and the good news is that it fits in the suitcase. Thanks for the kind comments. I must admit that now I have discovered the joy of graduated fabric for binding, I will be using it more often.